After a whistleblower revealed that a company called Cambridge Analytica obtained data from 50 million Facebook users under false pretences, Facebook has faced some serious backlash. The PR disaster and subsequent press storm has led to millions of people leaving the biggest Social Media platform in the world. There have been many PR disasters for Facebook over the years, but the Social Media giants have been quick to put the fires out avoiding any long-term damage to the brand or its brand value. This time, however, things seem to have taken a permanent turn for the worst. The current controversy has happened at a time when global opinion on Facebook is at an all-time low. People are skeptical about how well they can trust a platform that has been accused of meddling in elections and peddling fake news. Polls indicate that trust in Facebook has plummeted. Amongst Americans, less than 41% trust Facebook, conversely when it comes to Amazon and Google trust is around 60%. As a result of the backlash, more than $80 bn in share values was erased as investors sold their Facebook stock in late March of this year. The owner of WhatsApp- a company bought by Facebook, has publicly urged users to delete Facebook and CEO Mark Zuckerberg has come out of hiding recently to apologise on CNN to users in the US and UK for the illegal use of data. Probably the clearest indicator that it’s not looking good for Facebook, is that advertisers have begun pulling out their investments. Mozilla Corp and Pep Boys being the biggest names who have withdrawn their involvements. It’s likely that Mozilla, Commerzbank, and Pep Boys are just the tip of the iceberg when it comes to advertisers pulling their investments. Facebook right now is heavily under the microscope, as we have seen and it’s likely that even more secrets will come to the surface. More unwanted information will be unearthed. Marketers everywhere are anticipating more shock revelations and must, in turn, be aware that any more negativity and Facebook and Social Media will change forever. There is talk of Facebook being forced to submit to greater regulations and tighter controls. For marketers, this will mean that it will become harder to gather data from Facebook even in an ethical way. It could make it harder for marketers to target users on third-party sites via the information they have gathered. Stronger regulations will also mean that marketers won’t be able to use third-party data through the likes of Facebook’s Audience Network, to target users based on demographics, interests, behaviours, locations etc. Targeting specific audiences via Facebook data is about to get a whole lot harder, this will inevitably hurt smaller companies with less marketing spend that rely on free options to glean data. 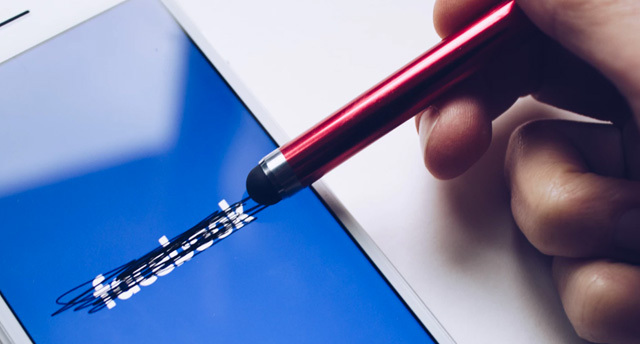 In short, tighter controls on Facebook could transform the digital marketing ecosystem. Facebook will not go down without a fight, regardless of the regulations that are placed on it. Even if these regulations end up being thorough, Facebook will work behind the scenes to try and mitigate their impact. Marketers should prepare for major changes, as The Cambridge Analytica incident is set to be a watershed moment that will change the level of access that marketers have to consumers via Social Media in the years ahead.